Help Dink, Josh, and Ruth Rose solve mysteries from A to Z! Kids love collecting the entire alphabet and super editions! With over 8 million copies in print, the A to Z Mysteries® have been hooking chapter book readers on mysteries and reading for years. Now this classic kid favorite is back with a bright new look! N is for Nugget . . . Howdy from Montana, pardners! Dink, Josh, and Ruth Rose are spending a week at a dude ranch. When they pan for gold, Josh finds a huge nugget. 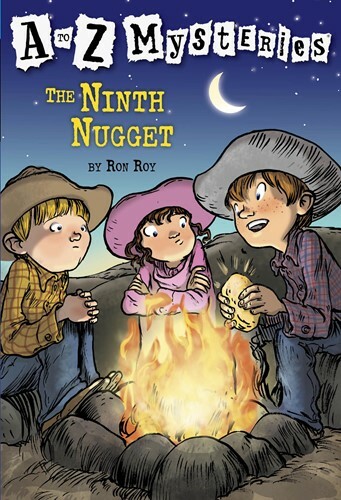 But gold fever has struck, and soon the nugget is stolen. It's up to the kids to round up the thief. From the Trade Paperback edition.